Earlier this year the University of Windsor Alumni Magazine contacted the Alumni and asked them to submit articles for publication. They published my article in its entirely. I guess that makes me a published writer now? I’ve had a wonderful 2014, and 2015 looks to be a great year as well. I am an extreme plein air painter, currently working in oil. Extreme, in that I paint in all weather, even sub zero temperatures. There are no bad weather days, only bad clothing choices. I make sure I dress for the weather. 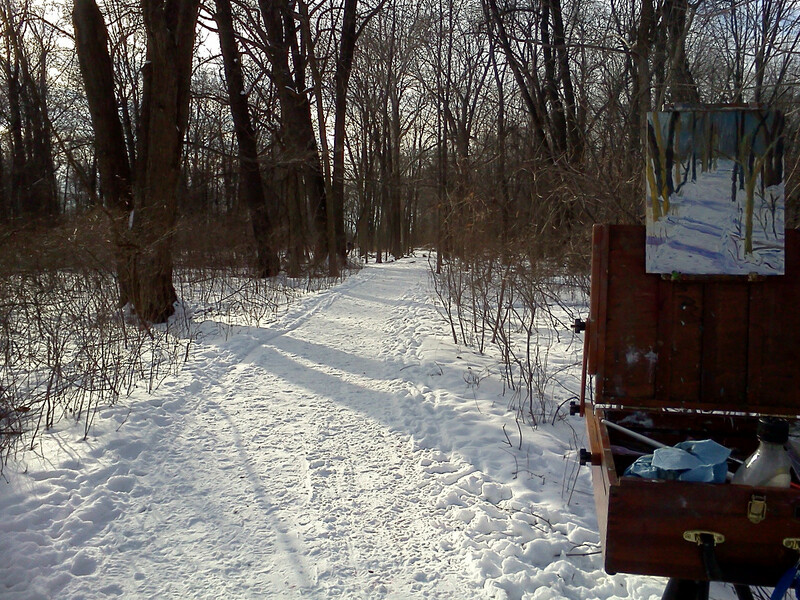 I rather paint in cold weather than in extreme heat. You can always dress warm. My dream is to paint in remote areas. However, getting to these areas is a challenge, due mainly to the cost of an expedition of this sort. The biggest cost is camping gear, canoe/kayak, and 4 wheel drive transportation. The other challenge is convincing my loved ones that this type of extreme expedition is safe. There are many dangers in the wild. I grew up extreme camping with my family. I don’t live in fear of the wild. I embrace it. It never surprises me when people ask me what I mean by Painting en Plein Air. En Plein air is a French expression which means “in the open air”, and is particularly used to describe the act of painting outdoors. I often think that many know to whom I’m referring when I mention Canada’s plein air “Group of Seven.” The reality is that many haven’t any idea what or whom I’m talking about. Happily, Plein Air Painting is currently celebrating a revival around the globe. Just do a Google search on Plein Air Painting and you will get over 3 million hits, and the Windsor & Essex County Plein Air Artists won’t be very far down the first page. Plein air painting is not easy, but it is extremely rewarding. First off, being outdoors, in itself, is the best reward. When painting outdoors, you learn to work quickly. Light and shadow are constantly changing. You can’t chase the light, you must make a decision on when to capture that one moment in time. The artist must always be aware of where the sun will be at any point during the day. How will the sun affect the scene? Then again, you might be painting at night or on a cloud covered day where shadows are scarce. That’s when Plein air gets really interesting. What effect does the available light have on the scene? Can you recreate the mood? Cloudy days are difficult, night time is near impossible. How do you even see your canvas at night? I have a head mounted LED light that helps me to see the canvas. You maybe a studio painter and think that Plein Air painting is not for you. However, the act of painting from life outdoors will improve your studio work. I must warn you that painting outdoors from life may just spoil you from ever painting from a photograph again. The experience becomes a memory not soon forgotten. Ask anyone in our and they will tell you that there is no greater joy for us, then when we are able to paint outdoors. 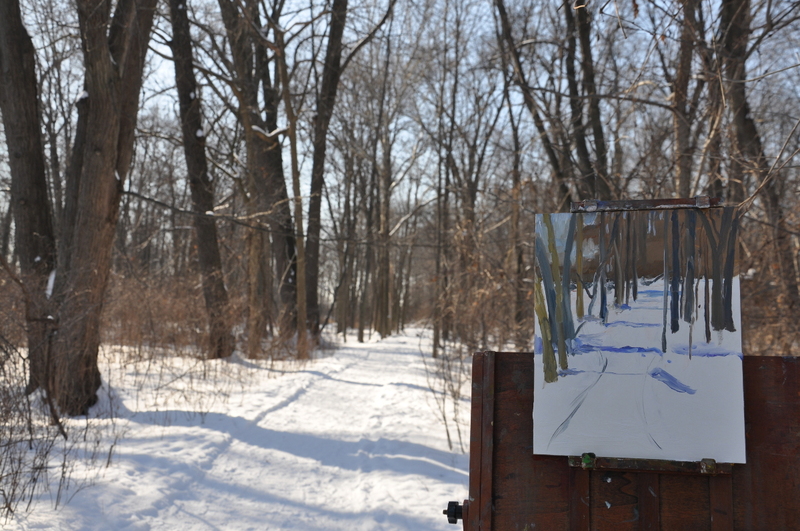 But, introducing others to painting en Plein Air is a joy in itself. 2014 gave me the opportunity to paint in some great locations. In August, I painted at the Paint Dexter Plein Air Festival. This is one of many week-long painting competitions available throughout the U.S. There are a few in Canada, but nowhere near as many as in the states. There were two categories judged during the Dexter event. 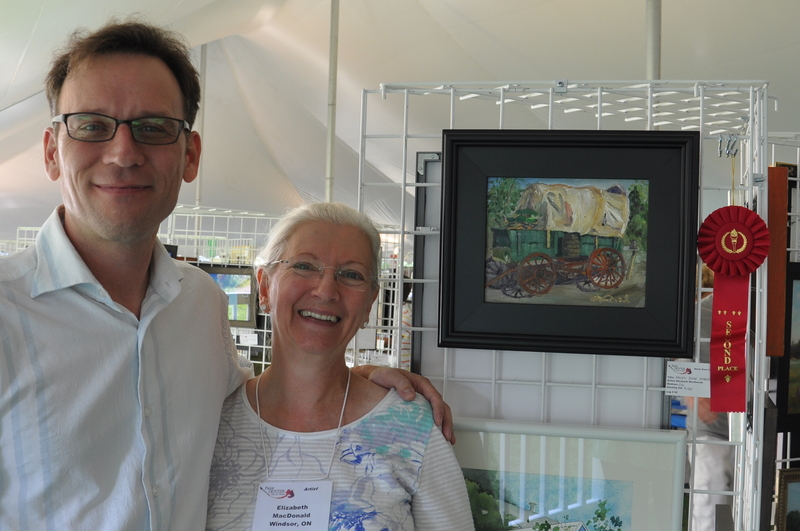 The judge for the Dexter Plein Air Festival was internationally acclaimed artist Kenneth Cadwallade, current President of Oil Painters of America. The first category was for work completed on location during the week, the second category was a quick paint. The artists had 3 hours to paint, frame and submit their work for judging. The quick paint is nerve wracking, but I thrive under pressure. It forces me to transcribe what I see as quickly as I can. Painting quickly tends to loosen my touch, and I record only what is necessary. 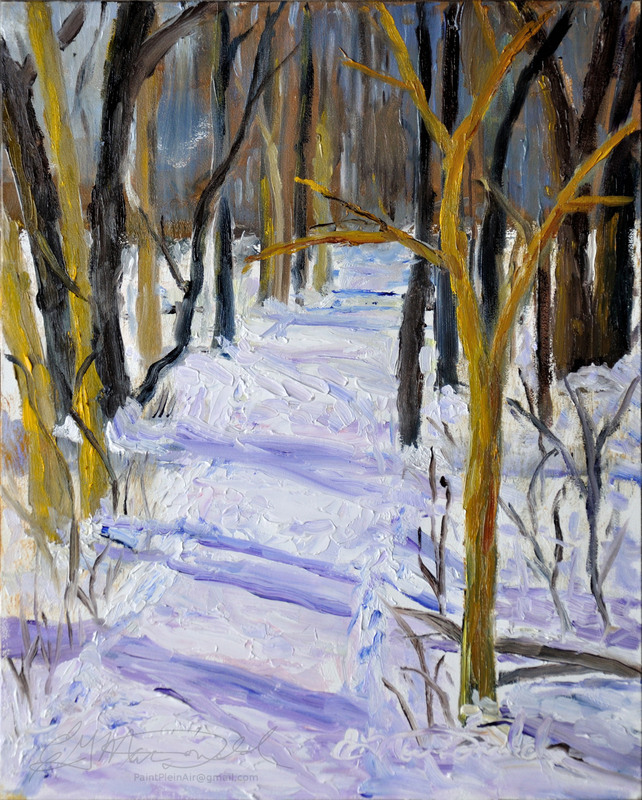 Because I paint outdoors regularly, I feel I have an advantage others less practiced artists. To my joy, I placed 2nd in this category. 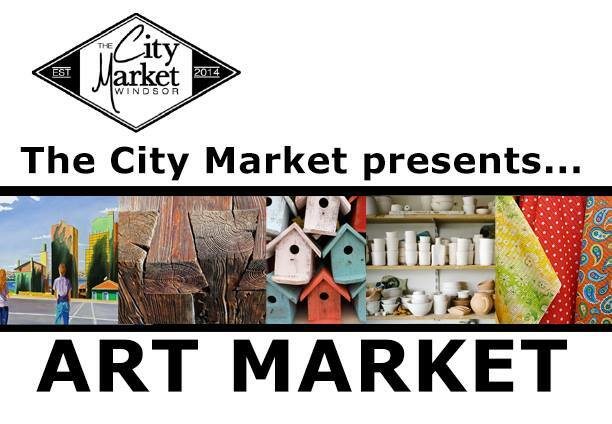 I also sold all 5 paintings that I produced during this event. I am looking forward to participating at the event again in August of 2015. In addition to the Dexter event, I spent the month of September painting in Seattle, Washington. I had the opportunity to paint with many different Washington based artists. There is camaraderie amongst Plein Air Painters. The common bond of painting outdoors joins us across miles, generations and social stature. Another significant event in 2014, is that my work was featured on the cover of the publication Important World Artists vol 1 https://wwab.us/shop/publications/important-world-artists/ In 2015, I was accepted as an associate member of the Oil Painters of America. NO ADMISSION – Parking available June 6th & 7th 9:00 a.m. to 5:00 p.m. Location: 1030 Walker Rd., Windsor, On. Google Map: https://goo.gl/maps/9t00k I will be located in booth A3 which is the first row parallel to Walker Road. I will accept Cash or cheque. All original Plein Air (painted on location) framed oil and watercolour paintings priced between $250 and $350. Some of the work available for sale. Extremely Busy Extreme Painting this Winter! 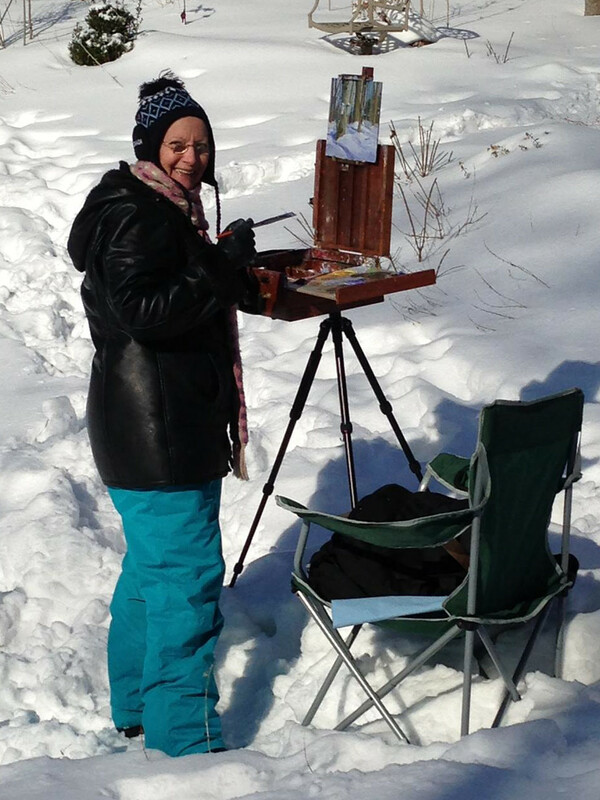 Some of you know that I run the group Windsor & Essex County Plein Air Artists. Well, quite often I get so busy there I don’t get to keep up my own blog and website. SO, here’s a catch up! We’ve received some great press coverage. (Click on photo to go to articles.) The Windsor Star has a video clip of an interview with me.